You bought a Toyota for the longevity and reliability that they are famous for. The Spokane Toyota service and repair team here at Bob's Service Center is ready to help you maximize the longevity and reliability that you can expect from your Toyota with the expert repair services you need. Having a car in Spokane that works all the time and doesn’t break down is no small thing. You need your car to get you, your family, friends and even coworkers, efficiently around this town. We don’t want any of our customers at Bob's Service Center experiencing a breakdown. There is nothing more embarrassing for you than being stuck at the side of the road waiting for one of the tow trucks in Spokane to come save you. There is nothing more embarrassing for us at Bob's Service Center than to drive by and see one of our customers stranded. That is part of the reason why we work so hard for you - we’re here in your city and we want the best for you. 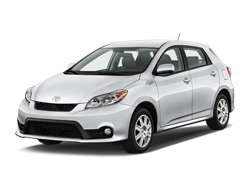 Toyota currently produces the Yaris, Prius, Corolla, Matrix, Camry, Venza, Avalon, RAV4, FJ Cruiser, Sienna, Tacoma, and you know what, that’s enough listed to get across that they make lots of cars! They also make them at a high quality. The Bob's Service Center Toyota repair team is prepared to take on all of these cars. This is thanks to a combination of experience and training. Bring in all of your Toyota repair needs to us at Bob's Service Center and we’ll be ready to keep your car operating for years to come on the streets of Spokane.